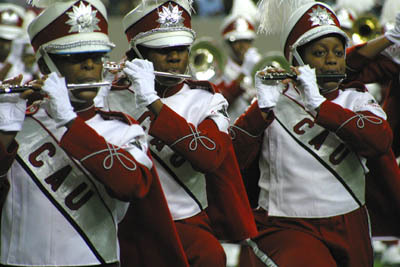 Atlanta (AP) --- Clark Atlanta University has lifted a suspension of its marching band after a university review. The university released a statement Tuesday saying it found no evidence of hazing or any illegal activity. The university began the review Aug. 30 "in response to an allegation regarding the possibility of hazing." At the time, the university said there was no immediate evidence of hazing, but university officials wanted to take a thorough look at the matter. A Florida A&M drum major's death last year that investigators attributed to hazing raised the attention that colleges and universities around the country give to such allegations.